I used to play hours of Rockman: The Power Battle and Rockman 2: The Power Fighters with a good friend of mine. 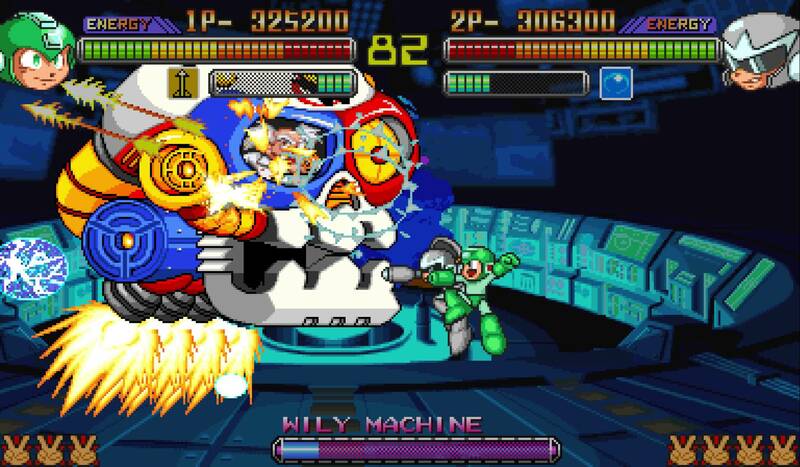 As two of the only co-op (or two player for that matter) Mega Man games ever made, this lesser known fighting game series, along with the secret minigame in Mega Man 7, fulfilled the fantasy of playing as someone other than Mega Man for once and fighting Robot Masters from multiple games. Eventually these arcade-only titles were ported onto the PS2 in Japan as the Rockman: Power Battle Fighters bundle, which also included a versus mode, but it was still relatively obscure -- until now, that is. Capcom just added it as a PS2 Classic on PS3, which is something, I guess. If you have access to a Japanese PSN account I highly recommend picking it up. Other than some minor ending dialogue you won't miss much. You can also find them on the Mega Man Anniversary Collection that was released in 2004, but without the versus mode.